Our group fitness classes are a fun way to improve your fitness while enjoying the camaraderie and social atmosphere of working out with others! 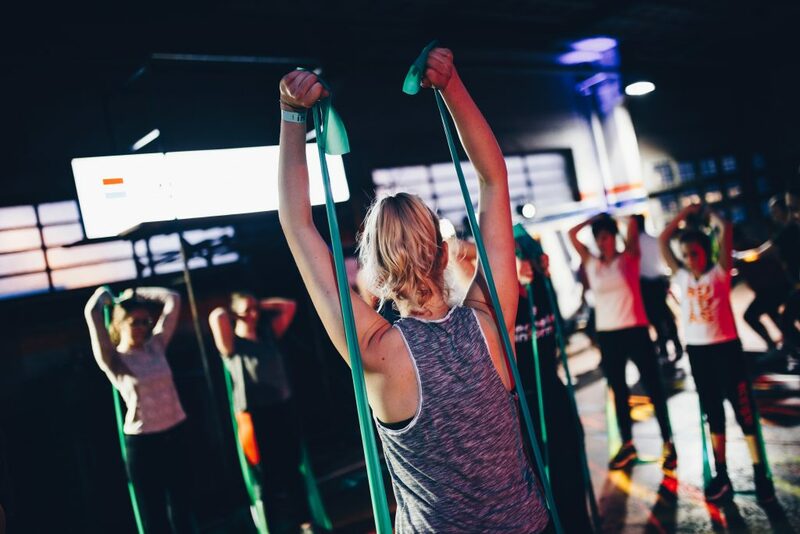 You’re always welcome at group fitness classes at Fitness Avenue whether you’re a new member, a long-time member, a fitness beginner, or an elite athlete! We offer many options for group fitness classes each week including Body Conditioning, Cardio Flow, P90X, Senior Fitness, Silver Sneakers, Spinning, and Zumba! Read more about our classes below or check out the Schedule. Our instructors are trained and certified and excited to lead you through these group fitness classes! Get an early start to your day and challenge your potential with this total body workout! This class is designed to challenge both cardiovascular endurance and build strong muscles. High intensity cardio intervals interspersed with multi-joint strength exercises will torch calories, develop overall body strength, and redefine your body. This high energy fitness class combines a cardiovascular workout with weight training for a body sculpting experience. The exercises are similar to that of a circuit training workout and can be modified based on ability and level. This is a fun, energetic, high-intensity workout. Dance 2 Fit uses various types of popular hip-hop music to create an aggressive but rewarding full body workout. All of our Dance 2 Fit workouts take place in an encouraging and positive environment. Experience more than just a workout! High Fitness is simple, intense, consistent, inclusive, and fun! High Fitness gets participants addicted and coming back for more. High Fitness uses modern fitness techniques such as HIIT Training, plyometrics, intervals of strength and cardio, and more. You can go HIGH or you can go low, but you will always leave feeling HIGH! P90X combines resistance and body-weight training, cardio, plyometrics, ab work, martial arts, and yoga. It is a GREAT complete, full-body workout! Combine fun with fitness to increase your cardiovascular and muscular endurance power. This course is geared towards our ‘Young at Heart’ individuals who are looking for a program to encourage continuous fitness movements with a mixture of cardiovascular training, as well as weight training. This course is geared towards our ‘Young at Heart’ individuals that are looking for a program to have fun and move to the music through a variety of exercises designed to increase muscular strength, range of movement, and activities for daily living. Hand weights, elastic tubing with handles, and a Silver Sneaker ball are offered for resistance. A chair is available if needed for seated or standing support. Learn more about Silver Sneakers HERE. ALL levels of cycling encouraged to attend. Instructor will mix cardio circuit training within class time. Using upbeat Latin music together with cardiovascular exercise, Zumba is aerobic dancing that’s lots of fun and easy to learn. All levels of fitness and ability welcome.